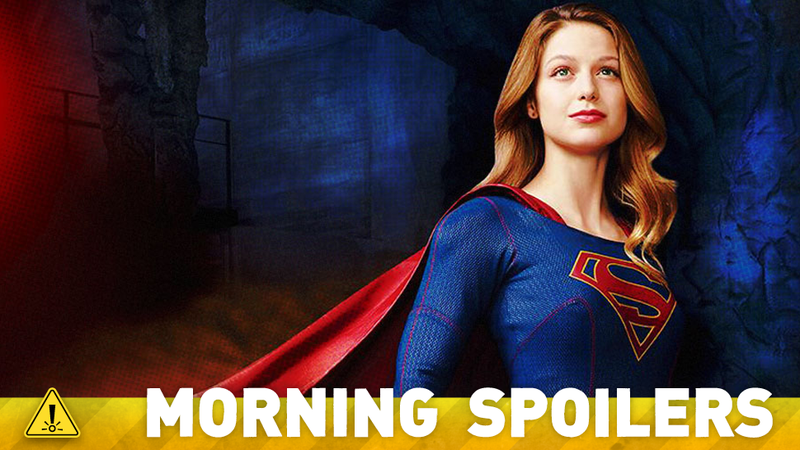 Crazy Rumor: Man Of Steel 2 Could See Supergirl Make Her Debut on the Big Screen! Emily Blunt once again denies any involvement in Captain Marvel. Brad Bird offers an update on Incredibles 2. Jenna Coleman may be exiting Doctor Who. Plus, new looks at Agents of SHIELD and Ash vs. Evil Dead, plus when Agent Carter is returning. Spoilers Get! Heroic Hollywood are reporting a bevy of details for an alleged sequel to Man of Steel. The report mentions that the movie would feature Brainiac as a main villain, who, like Zod, would be hunting for the genetic codex of the Kryptonian race. In his search for the codex, Brainiac wouldn’t just go after Superman, but also Supergirl (this would naturally not be Melissa Benoist’s television version of the hero), and in the process, would create Bizarro to fight the two heroes. All of these should be taken as highly speculative, of course—Man of Steel 2 is not currently even officially part of DC’s movie lineup for the next 5 years, so the idea that this level of detailed discussion is already out in the wild is unlikely. Treat this firmly as a rumor for now. I think it’s because the list is very short, because we don’t see women in these kind of roles. So I think as soon as you do a role like that, like Charlize did or I did, or Rebecca’s done — there’s like four of us or something. And Jen Lawrence. So I feel like us four, we get talked about — and Angie, Angelina. So it’s a list of like, four women who are going to be considered for those kind of roles. So I think that’s why the rumors happen, because they’re like, “who else? Surely not another girl can wield a gun,” you know what I mean? “A woman doing push-ups? There’s only one who can do that. I feel like we have been, the X-Men franchise, has been growing a little bit more into science fiction. I think Days of Future Past with time travel and the Sentinels took us into a slightly broader, more science fiction world than the films had occupied in the past,. We felt like the movies were ready for something that was slightly more, let’s say, cosmic. Once we made the decision for Apocalypse to be the villain at the center of the movie, we wanted to be true to the comics, which are sort of, like you, say, not costume, but it’s not just a guy in a helmet. It is more cosmic. Here’s a new featurette about the film’s use of 3D. It’s going to be really interesting to see, because they haven’t really interacted yet,. I don’t know what he’s going to do with these people. He’s like, ‘Life is precious.’ [But] hold up. Well, of course it is, but a life that’s getting ready to kill you? Your life is more precious than that one. She’s adaptable — and one of her weapons is adaptability,” she explained, adding that Carol’s ability to put on an act also helps her survive the zombie apocalypse. “Each [personality] is necessary so far, but they’re both who she is. And each one is aware of the other. It’s beautiful and complicated, but so simple. This is a tool. This is one of her weapons. It’s the mask. British Tabloid The Mirror is reporting that Jenna Coleman has allegedly quit the show, in order to star in the lead role of Queen Victoria in a new drama series for British channel ITV. This wouldn’t be the first time Coleman has been rumored to exit the show—she has been convinced at least twice to stay on as Clara—but as ever with tabloid reports, treat it with skepticism for now. HRG exits the house,(1) walks nonchalantly down the sidewalk. The SHADOWY FIGURE emerges from behind a tree to watch him. …. know how to tail someone! Who are you, What do you want? You’re Noah Bennet, right? You knew all of those people. And I know you worked for Primatech. Sure, along with bagging and tagging and keeping “powers” under wraps. And you know about this, how?! Beacuse Renautas secretly owned Primatech. If HRG is aware of this, he hides it with a stern stare. Primatech’s dead. It’s nothing but a hole in the ground. Chad Michael Murray (Jack Thompson) has been posting some behind-the-scenes pictures to instagram, as well as implying that the show will be back in January 2016. Barry Allen is in crisis in a new poster for the second season. Here’s a new promo for season 2, emphasising the madness of Jim’s ex-fiance, Barbara Kean.